Tour Phuket, tour from Phuket or Phuket Tour: Yao Noi Island Sight-Seeing and Trekking is the one population excursion to do. 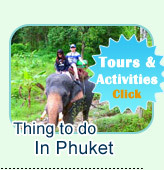 - Jc.Tour Phuket offers a great day trip pick up from Phuket by Boat to Koh Yoa Noi Island. - And continue by do the Jungle Walk pass the local people village, Tropical Garden, Fruits Garden, Completed thick Tropical Safari, Rock Beach, The Grass Field fro cows and climb up the hill to see "the Untouched Beach and The Amazing Unseen 1,000 Yard Old Tree - The Big Tree." Boat the Big Tree and Untouched Beach are hidden in the Jungle. 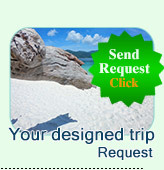 - By the local car, we sightseeing around the Island passed every beaches of Yao Noi Island by local Road. - Stop to see the Fresh Water Well which is located under the sea - covered by Sea Water..!! !Surprised and Amazing!! This is the wonderful and not same the other tour trip. 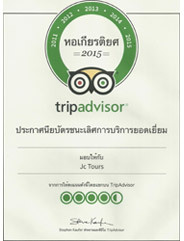 "Full Day Yao Noi Island Sightseeing & Jungle Walk" has the following program and highlight pictures, please read and see all before submit the booking. Start the trip by Jungle Walk: The Jungle Walk will pass the local People Farm, the Stone Beach, The thick Safari on the Hill, The Durain Garden, The coconut Garden, Local People Village ant trough out the Biggest Tree in the Safari and hidden beach is our Lunch Place. Surrounding the Island by Local Car: As well as the Jungle Walk, the tour guide will leads you see all around the Island. There are so many beautiful place those you should stop to see and take a good picture. We can see more Island People life. Holy Spring Water well. The sweet water well which is covered by the Sea Water, we will visit and see it after the sea water down. Amazing is that the water is sweet like a never touch any sea water before. The people trust that it can be medicine.